Unfortunately I had an entire ½ gallon of raw milk that went sour. I really didn’t want to dump it out, didn’t have the cultures to try making cheese and a few of my kids can’t have it at all, so I couldn’t try putting it in baked goods. So what to do with it? Most of you who know me well enough, know that the last resort for me is to throw something out. If I can find another use for it or find someone else who can use it, it suits me just fine! So what to do? I remembered hearing my grandmother talk about cheese that her mother used to make. Mim said her mom would take sour milk, pour it in a cheesecloth and hang it over the drain to drip dry overnight and then they had cheese in the morning. She has told me this story multiple times, but I couldn’t figure out how in the world that could work! Milk? In a cheesecloth? It would just run through… well I was wrong. I did a bunch of research and looked at different methods, and little did I know it was possible to make cottage cheese this way! One method said I needed to heat the milk first, but I knew I didn’t want to heat it on the stove since it was raw milk, so I didn’t! I actually left it in the fridge for a few days as I was trying to decide what to do and it separated on it’s own! There were thick curds on top and whey at the bottom! This wouldn’t be too hard!!! I could pour it in a cheesecloth and not have it all run through! My raw milk was about 2 weeks old and only tasted slightly sour. Raw milk doesn’t go rancid and it never tasted horrible. It would curdle in coffee and not exactly what I wanted to drink! Also in my reading and research a lot of people said it was best to have the raw milk be at least 1-2 weeks old. As I mentioned earlier my milk separated on it’s own in the fridge. I’m not sure if it’s because my kids have been leaving the door open or what. I know that isn’t the typical, though. For other batches and especially in winter I will put the milk in quart jars and put on top of the running dehydrator to keep them warm enough. 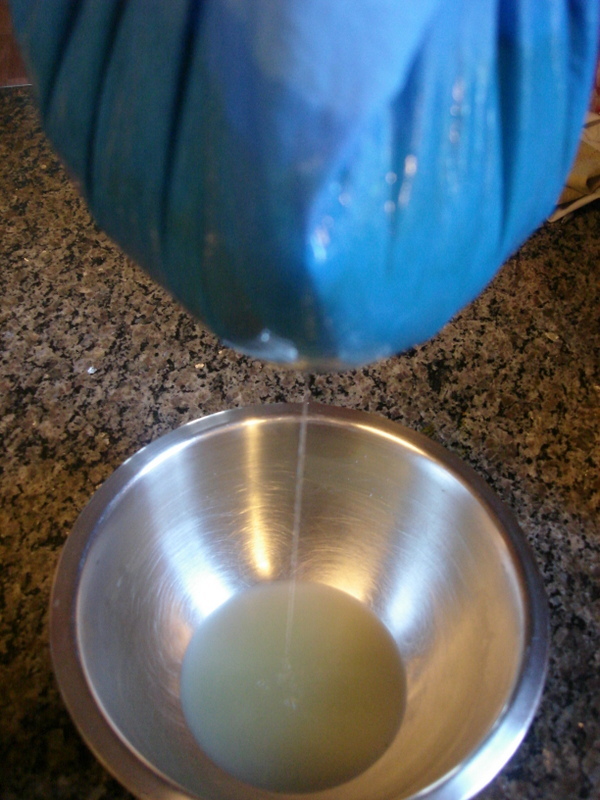 Put sour milk in jar and close tightly. Cut the curds, drain in a cheesecloth, and save the whey. Salt and and serve with milk or cream poured over top. This definitely has a different taste than store bought cottage cheese. It definitely has a tangy or sour taste to it, but I really enjoyed it! Thanks Mim for telling me that particular story of your childhood! I wouldn’t have even thought of looking into it except that you told me about it! 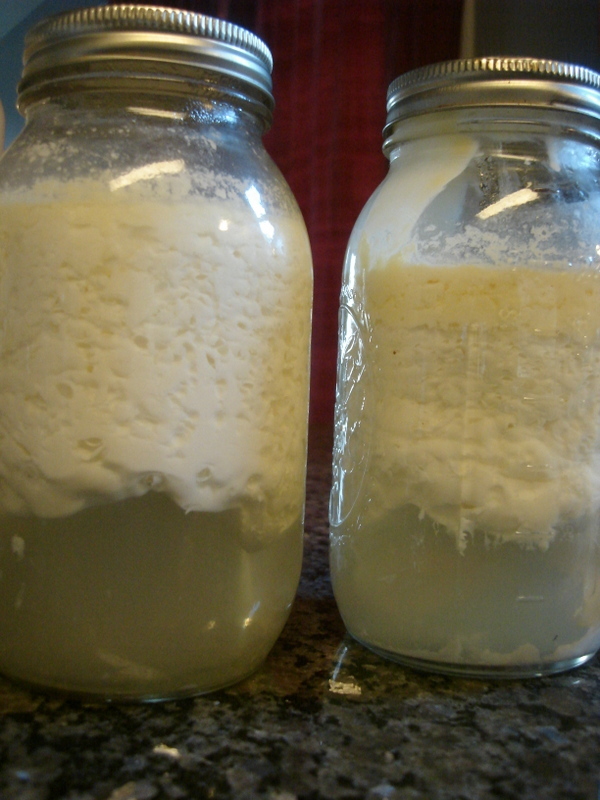 So give it a try next time you have raw sour milk! If you have any other uses for soured milk I’d love to hear! Next The Start of First Grade! So do you get raw mike at the farmers market then? I would like to try some. We started this today. We will let you know how it turns out. Sounds great! Can’t wait to hear what you think! Was the milk sour by the time you got home?